I love Christmas traditions and I love to come up with new ones for my family each year. There is just something wonderful about traditions that cause your family to connect on a deeper level. 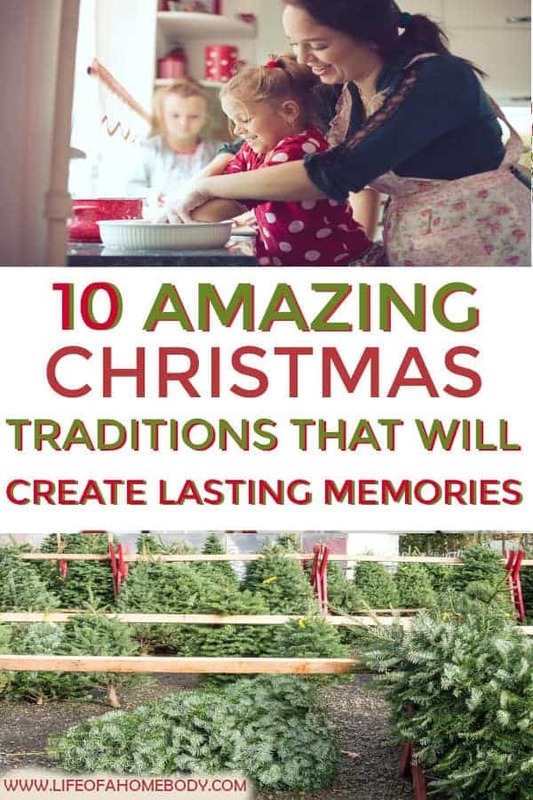 I have such wonderful memories of growing up and having traditions in my life, especially around the holiday time! My mom was great at making memories with us and making the holidays special! I always knew I want to continue this in my own family! Sometimes you want to create traditions but you are not quite sure where to start. I put a list together of some of our favorites. 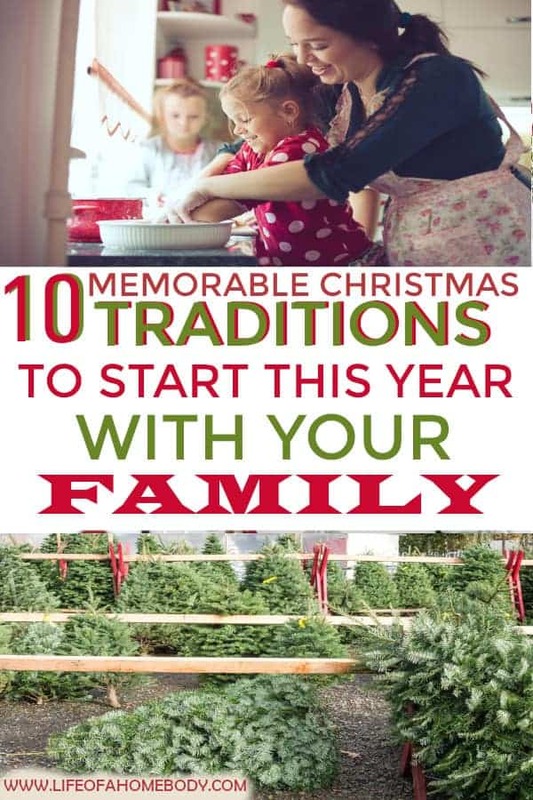 Here are 10 New Traditions to start for the Holidays! 1. 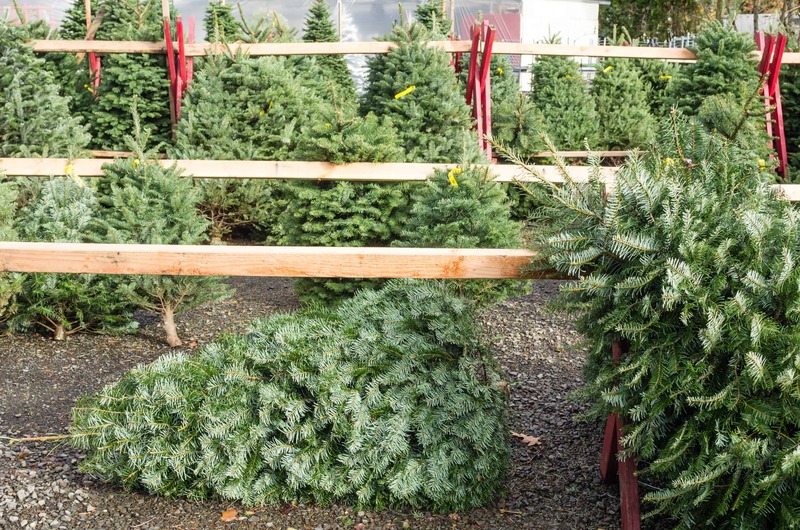 Cut down your own Christmas tree – take your family to a Christmas Tree Farm that allows you to cut one down and take it home. If you think cutting it down is too much, go to a garden center or place that sells them already cut, it is still great fun to pick out your own tree! 2 Have a set of great Christmas books out for reading – we love to put ours under the tree at the beginning of December before we use the tree for presents. Let the kids pick a different book each night to read aloud as a family! 3. 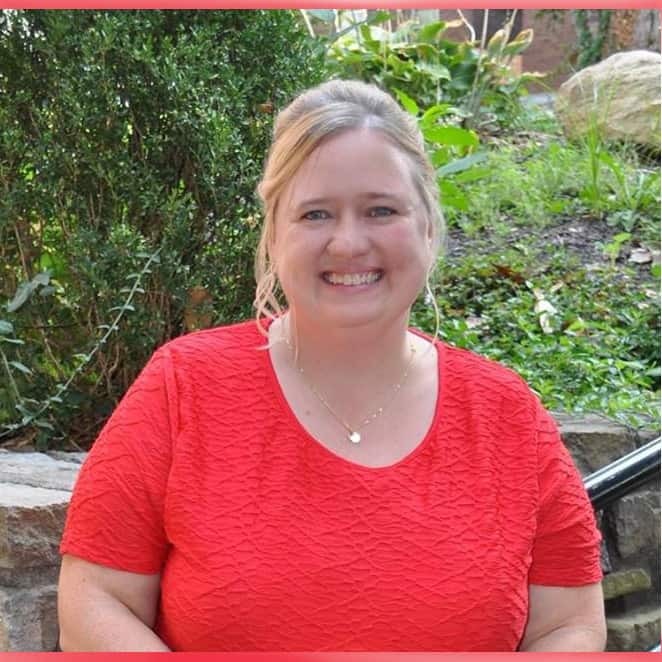 Celebrate Avent– Jesus is the reason for Christmas for us! Use this time to create a tradition that goes along with your faith or value system. Maybe it’s an advent tree, a Christmas Mass, or just serving your community! 4. Have a Christmas Movie Family Night– Make hot cocoa, popcorn, and get cozy under the blankets. Pick out your favorite Christmas movies and have a Christmas marathon! Polar Express and the Muppets Christmas Carol are two of our favorites! 5. 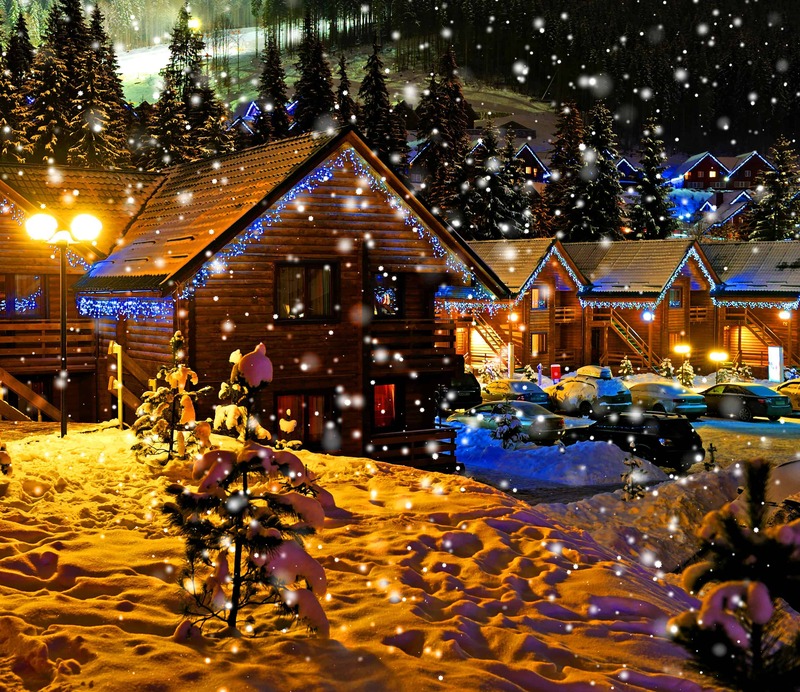 Drive Around to Look at Christmas Lights– We love this tradition! 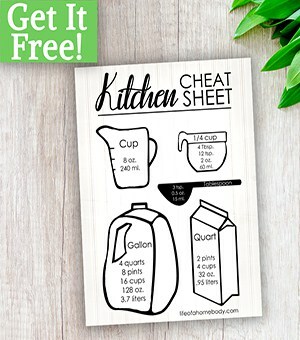 Make a thermos of hot chocolate (don’t forget the cups) and print out a scavenger hunt (many on Pinterest) that will give your children certain things to look for as you drive around! Don’t forget the Christmas music! 6. Have a Wrapping Party – Have some friends over and everyone wrap presents together, this helps you get a lot of wrapping done while having a great time together! 7. CartoonFest – We have a big party every year where we invite friends over and have a cartoon fest. We watch our favorite classic Christmas cartoons, have tons of food, and everyone spends the night! It is so much fun and everyone looks forward to it every year! 8. 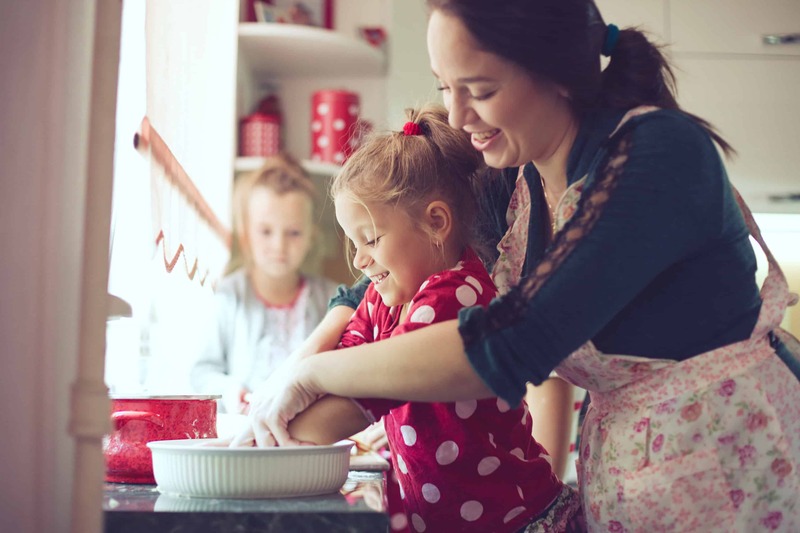 Baking night -Have special nights where you bake your favorite Christmas cookies or decorate a gingerbread house. 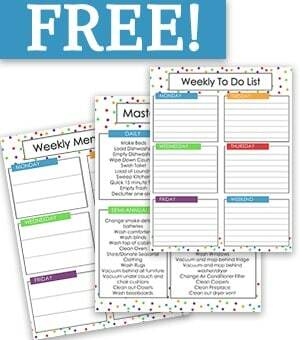 You can now get kits that come with everything you need, makes it easy to create the memory! 9. Community Events- Go to a community event that they have every year. We live near Cincinnati and they always have a big train display we go to at the Museum Center. Find something to do every year in your area! 10. Serve others- Start a tradition where you teach your family to serve others. Serve in a soup kitchen, donate toys to a family that needs it or a charity, have your children bless an older person that may be alone on the holidays! There are so many ways you can serve! 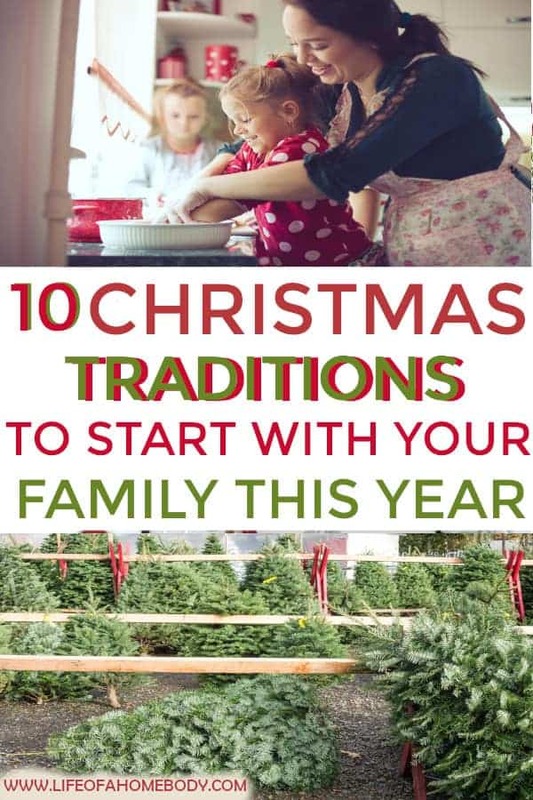 I hope this gives you some great ideas for starting new traditions this holiday season!